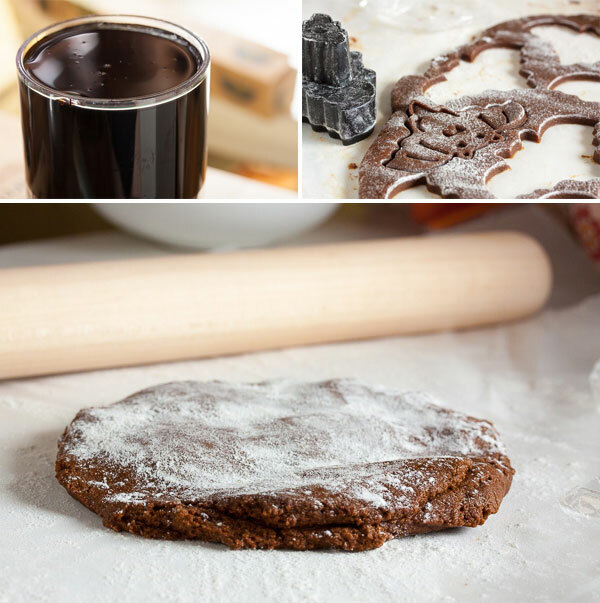 Molasses Spice Cookies | wanna come with? This week, I wanted to make a roll-out cookie. Because once again, I have new cookie cutters. Yay! It’s kinda sad how happy they make me. But I loooove kitchen stuff. And I’m very lucky in that I live in a neighbourhood with several really nice kitchen stores within walking distance. Lucky for me? Unlucky for my wallet. These cutters are actually designed to create a multi-layer filled cookie, but I’m just using them as a regular textured cookie cutter. While looking for a new recipe, I’ve realized that there really isn’t a lot of variation in roll-out cookies. I mean there are lots of different sugar cookie and gingerbread cookie recipes. But not a whole lot else. There are other options though – like these cardamom cookies I made last year, and these chocolate chip roll-out cookies and chocolate cookies from earlier this year. And of course, there are these cinnamon animal crackers too. They are out there! But apparently few and far between. So I’ve been going out of my way and flagging all the roll-out recipes I can find in my books, as well as pinning all the recipes I find online. This recipe sounded unique enough. It’s apparently based on a recipe called the Joe Frogger which has been around since the late 1700’s. Wow, eh? 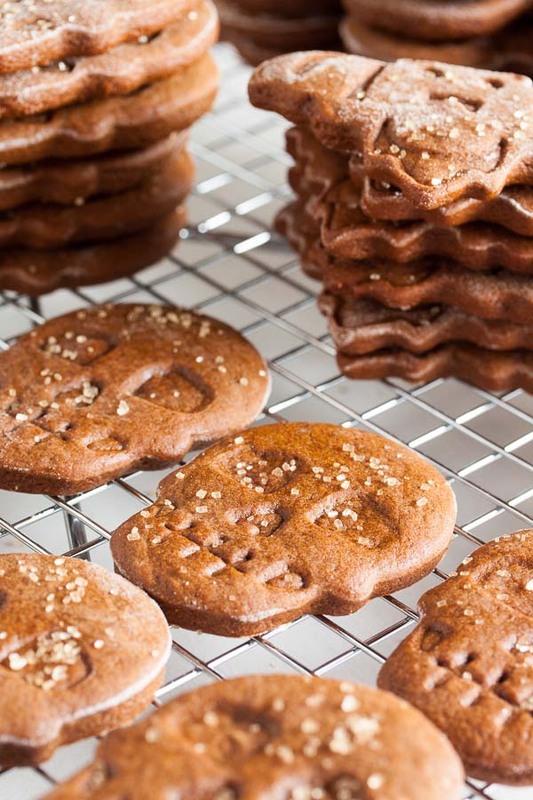 With the combination of molasses and spices, this cookie lands itself firmly in the gingerbread family. But it’s heavy on the molasses and not as sweet as the gingerbread I’m used to. Plus? This cookie has RUM. Rum is absolutely one of my favourite alcohols to add to baking. It has such a deep, rich, earthy flavour. 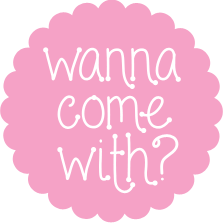 Think rum balls and rum baba and rum raisin cookies. So far, the bottle of dark rum I have has been used exclusively in baking. Like the cardamom cookies I mentioned above, this dough feels soft and spongy, much like a rising bread dough. It’s good to work with, but it’s really wet and sticky, so be sure to flour your work surface and the top of the dough. And your cookie cutters! 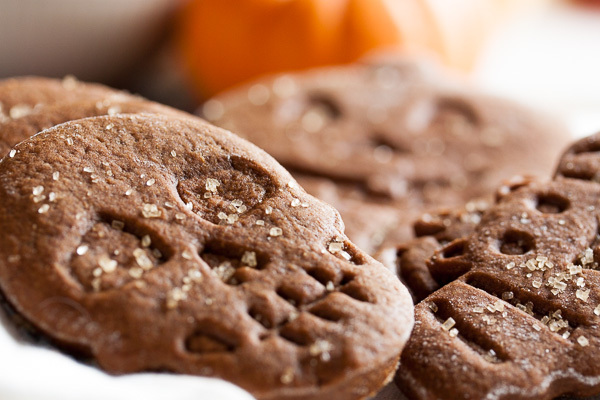 Don’t forget to flour your cookie cutters between cuts. I really like this cookie. It has a deep, rich flavour and it isn’t too sweet. However, it is a very molasses-y cookie, and molasses isn’t a flavour that everyone loves. I mean, I can’t eat it on its own, but I do like it. This is one of those cookies that some people are loving and some people are just not even bothering with. I suspect some people see the word “molasses” in the name, and just skip it. Adapted from Martha Stewart's site. The number of cookies this recipe will yield will depend on how thick you choose to roll the dough and the size of the cutter you use. In a small bowl or a measuring cup, combine the hot water and rum. Set aside. In a medium bowl, whisk together the flour, salt, baking soda, and spices. Set aside. In the bowl of a stand mixer fitted with the paddle attachment, beat the butter and sugar together on medium speed until light and fluffy, about 3 or 4 minutes. Scrape down the sides of the bowl and continue to beat while slowly adding the rum mixture. The mixture will look gloopy and lumpy at this point. Turn the mixer down to low and alternate adding the dry ingredients and molasses – the flour in 3 portions and the molasses in 2. Mix until just barely combined. Remove from the mixer and divide into quarters. Flatten each into a disk and wrap in plastic. 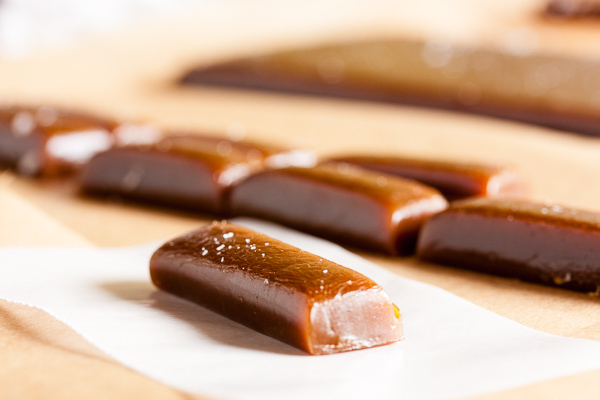 Refrigerate overnight or freeze for one hour. Remove one piece of dough from the fridge (many people recommend rolling the dough out cold, but I find it easier to work with when it's warmed up a bit). Generously flour both your work surface and the top of the dough. Roll the dough out to about 3/16" thickness, or slightly less than 1/4". There's a video here that shows my preferred method, except I use a piece of plastic on top of the dough rather than parchment or wax paper. Cut the dough into desired shapes and transfer the cut pieces to your cookie sheet. 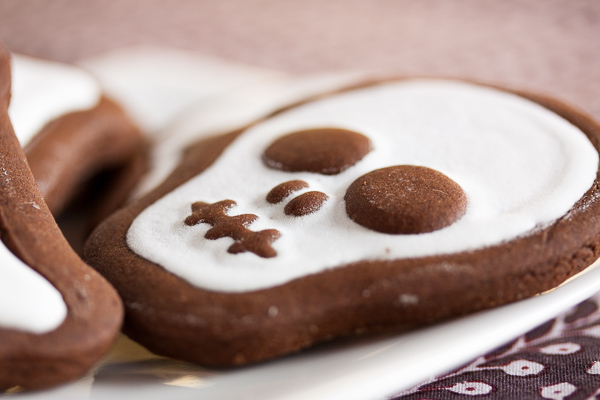 If you find the dough is sticking to your cookie cutter, try dipping the cutter in flour after each cut. 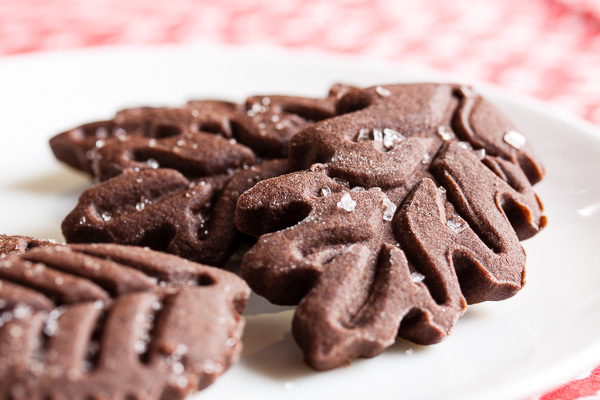 Decorate the cookies with sanding sugar, if desired (I used a bit of demerara sugar). Once you have a sheet full, refrigerate the dough for about 15 minutes. I don’t have a large fridge, so I just left each tray in the fridge until I had another tray of cookies cut and ready to go and then swapped them out. Bake the cookies for about 13 minutes, rotating the baking sheet halfway through, until they’re firm. Allow to cool on a wire rack for a few minutes before removing the cookies from the pan and allowing them to cool completely. These are so cool! I’m like you–not molasses’ #1 fan, but I do like it in baking and I can appreciate a good molasses cookie. Your cookie cutter collection is making me jealous, time to get shopping so I can start making some of these roll-out cookies! Haha! Thanks! In addition to a cookbook problem (three more on the way from Amazon as of this morning – yikes! ), I also apparently have a cookie cutter problem. I’ve got my eye on some that I want to go pick up this week. I have never used molasses in cookies before. 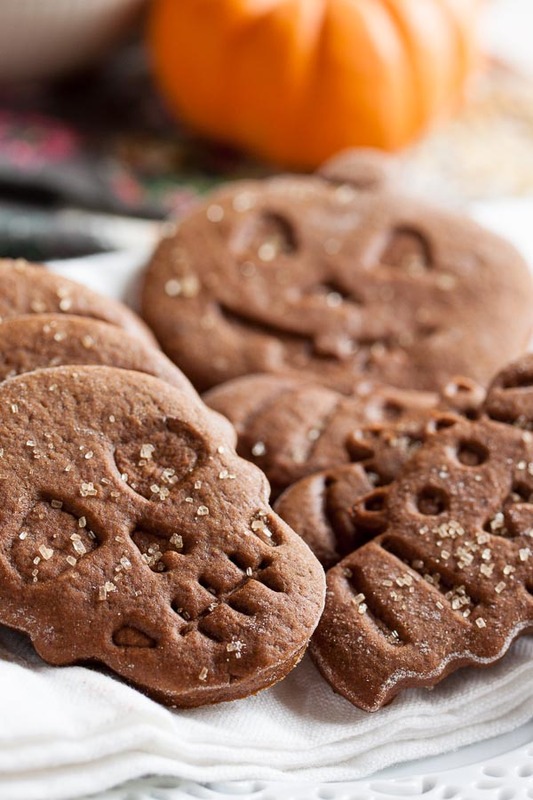 Definitely need to try out this Halloween inspired recipe – they look delicious and I am loving the skull shapes! Never?? Not even gingerbread? Or is that not as popular in the southern hemisphere? You’re in your summer now, right? These are super cute! Molasses cookies are still on my list to make one of these days, love yours! 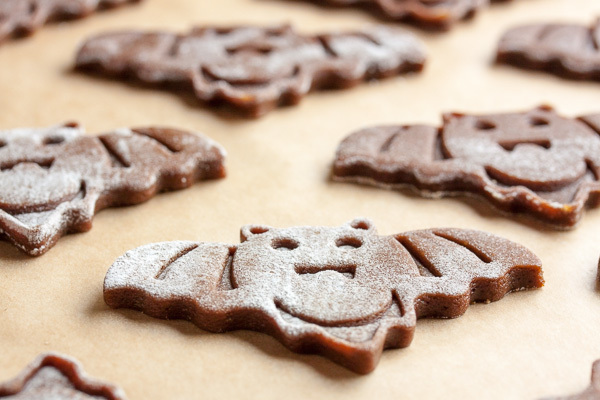 These are too cute, and I’m way behind on Halloween planning, and I love molasses in cookies!